What does a glaciologist and polar engineer do? Glaciologists study snow and ice, either via models or in the lab or the field. Polar engineers use the physical properties of snow, ice and frozen geomaterials to design and construct infrastructure in polar regions. I study snow and ice, particularly glaciers, sea ice and ice sheets using in situ and geophysical methods to determine physical properties. Then I try and use these physical properties to work out how the snow and ice might behave under load and how we can build stuff on or out of the snow and ice. I was on an Everest expedition in 2001 where three of our colleagues were killed by an ice avalanche. This made we want to develop an avalanche warning system so that people wouldn’t get killed in such a manner again. I commenced research into assessing the strength of snow and I now do this in both the alpine and polar regions of the world. It’s been almost twenty years, but I shortly intend to roll-out a device that may save lives from avalanches in the future. I originally did an Honours degree in Oceanography and then whilst serving with the Navy I completed a Grad. Dip. in Meteorology. I then transferred to the Army where I finished my Bachelors of Civil Engineering (Hons) before completing a PhD in glaciology / snow mechanics at the Scott Polar Research Institute, University of Cambridge after winning a Menzies Engineering Scholarship. 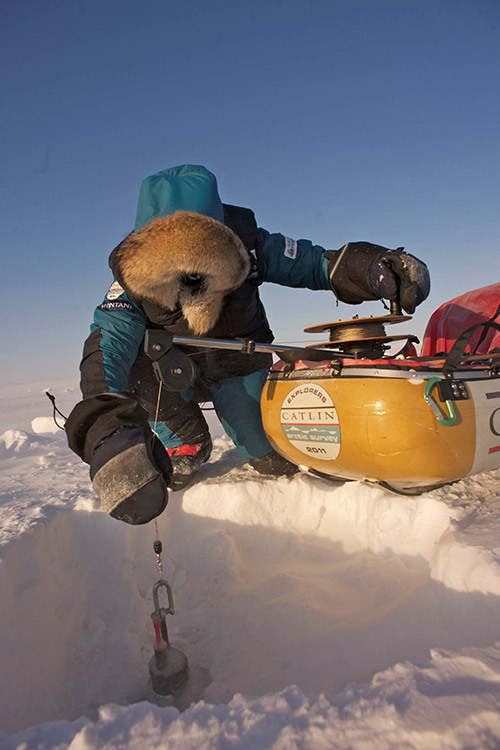 In 2011 I spent six weeks dragging a sledge and conducting daily oceanographic measurements from the North Pole to Greenland. The Arctic is an amazing place and that was a terrific journey. Don’t take no for answer; work hard; follow your dreams.